Back in early June, my family went camping in Orillia, Ontario for the weekend. 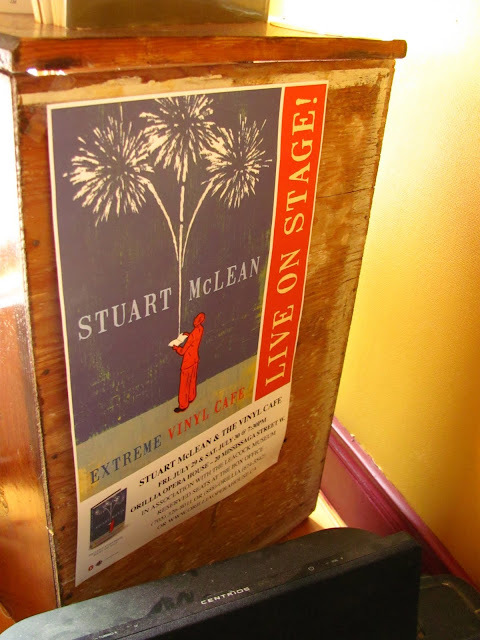 While there, we saw a poster in a bookshop for Stuart McLean and the Vinyl Cafe live on stage at the Orillia Opera House (above.) The Vinyl Cafe is a radio show on CBC. It features new Canadian music, essays and stories. The most popular stories heard on the show are about Dave and Morley, a fictional couple that live in Toronto. 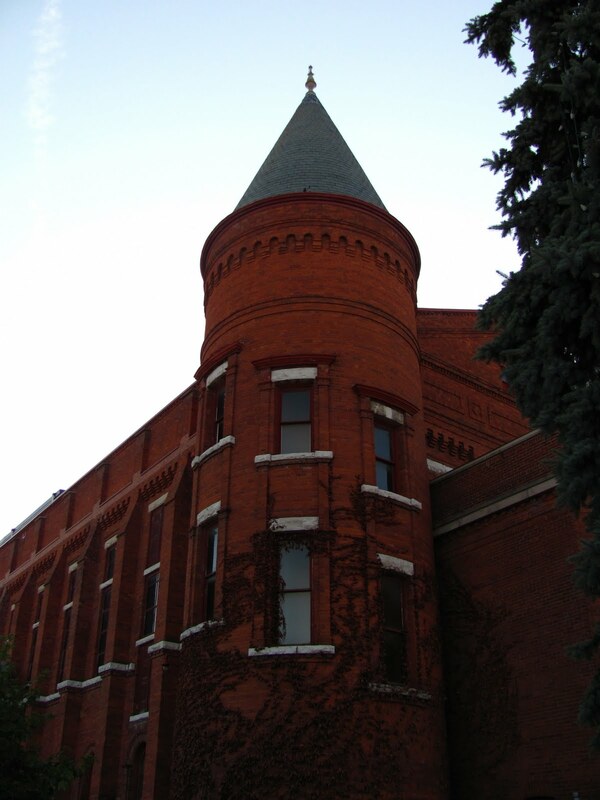 Dave has a knack for getting into trouble and works at a record store called the Vinyl Cafe. These stories are featured in a collection of books. I bought tickets to the show for me and my Dad and we went last night. It was amazing and hillarious. After the first act my face hurt from laughing. When you go to a recording, two shows are recorded, with an intermission in between. The stories are brilliant. The most popular is "Dave Cooks the Turkey," and you can listen to that here. Skip to 00:38, or it will skip to the next podcast, for some reason. It was cool to hear these stories being told live, but it was also amazing to be in a theatre full of hundreds of people who just want to hear the stories that they love. Some of these stories mean a lot to people, and some of the holiday stories are a part of a lot of people's Christmas traditions. Overall, we had a great time!